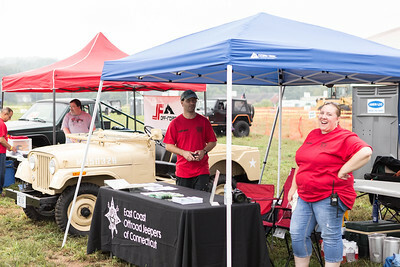 This past weekend marked the 15th annual, and my third year photographing, the Great American Jeep Rally (GAJR) in Ellington, CT. 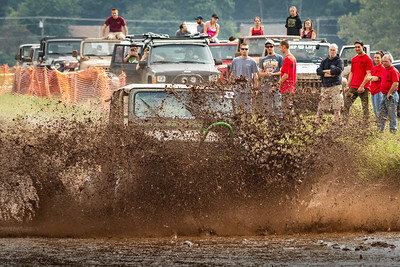 This fundraising event draws hundreds of Jeep enthusiasts from as far as New Jersey as well as vendors and spectators. This year is also the first year this event has been extended to two days, a testament to this event's popularity. I became involved with the GAJR through my association with ECOJOCS, a local jeep club I am a member of. Our club supports the fundraising endeavors by providing volunteers to work the event. Three years ago it started out as providing help with the event's parking and our involvement has expanded to designing and installing an obstacle course, providing spotters on the rock pile and assisting with setup and breakdown of the event. Many our members have gone beyond the call of duty in helping this event be the success it is. If you are a Jeep enthusiast and have never been to the Great American Jeep Rally you should consider going, at least once. If for nothing else than to check out the countless modified Jeeps in the parking area. Everything from stock to buggies can be found there and most Jeep owners are happy to talk to you about their modifications. You can also talk with any of the vendors at the rally, It's specially great if you kind of know what you want to do but don't know exactly what parts you may need. By chatting with someone who's been there, done that you can get pointers, take pictures, jot notes and even get warnings about potential pitfalls. If you have a fairly competent rig and want to test it's endurance there are several areas to play on. For novice drivers with fairly stock or lightly modified rigs there is the obstacle course. Hills, dips, bumps, ruts and trenches will give you an idea of what your vehicle is capable of traversing. This course is designed as a green level trail suitable for stock trail rated vehicles to easily navigate over. For a bit more challenge try the mud pit but be warned, it's not for the feint of heart. This 200ft long trench has bested more vehicles than I can count. Don't worry, if you get stuck there is a recovery tractor there that will gladly pull you out. Just remember, you will have to wash all that mud off after. Of course no Jeep rally is complete without the obligatory rock pile. While designed for multiple levels of experience and vehicle build, it is still a big pile of unforgiving rock and you will play at your own risk. If you are new to off roading and rock crawling I suggest trying the easy side. Experienced spotters are available to help you maneuver your way across and it's a nice way to get a bit of experience in a relatively safe environment. Want to know what your vehicle can handle, as far as your suspension is concerned, then you need to try out the RTI ramp. RTI, or ramp travel index, is a way of measuring your vehicle's ability to flex its suspension as it clears obstacles. If you enjoy traversing over obstacles, knowing your vehicle's RTI score will help you understand what your vehicle can and can't do on the trail. A good piece of information to have when off roading. Finally, if you are a fan of the Spike TV show Xtreme 4x4 then you may be familiar with its host, Ian Johnson. 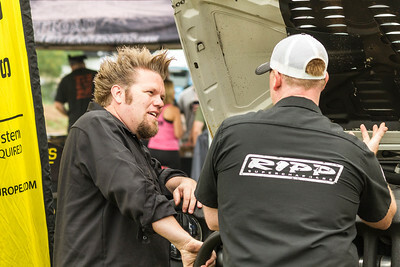 Ian is a regular at GAJR and you can find him hanging out at the RIPP Superchargers vendor tent. Stop by, chat, take a selfie with him and check out the gear there, and at the other vendor's tents. 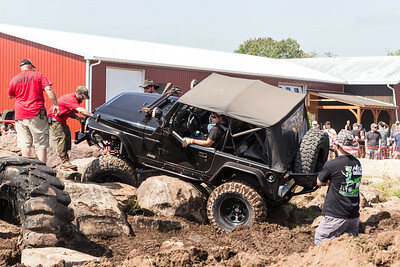 Hang around the rock pile and you'll likely see Ian take his personal rig over the extreme end of the rock pile for some rock crawling exhibition driving. Check out this, and previous, year's event photos on my website at unitasphotography.com/Event-Photos/GAJR. Thank you for an interesting and well done article nicely illustrated with just the right mix of pictures to show the people, the vehicles, the events, and the context. It's well set up for viewing/reading, and a good example for anyone of us who aspires to produce/publish photojournalistic articles. And of course, the pictures themselves are top-notch. Very well done and interesting Duck....good job. Thank you Minnie. I am happy to hear you appreciate my writing. If there was money in writing I would love to pursue that as well. Unfortunately there is little money but takes up a lot of time. The return on profits would be ridiculously disproportionate. In the meantime, I am happy with my little blog and the occasional copywriting jobs I get. Nothing worth bragging about, just another skill to keep on the shelf.